There are two things that send me over the edge when it comes to slideshow design, the first is generic circa 1995 slideshow templates and the second is unusable slide real estate. 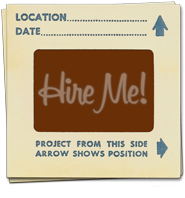 There’s nothing I can do to eliminate generic slideshow templates other than to tell you to avoid them like the plague, but there is definitely a lot you can do to combat wasted slide space. Keep in mind that I’m not here to pick on companies or organizations who have opted to let their branding take precedence over practicality, but rather I’m here to tell you that you can brandify your slides without having to sacrifice slide space. 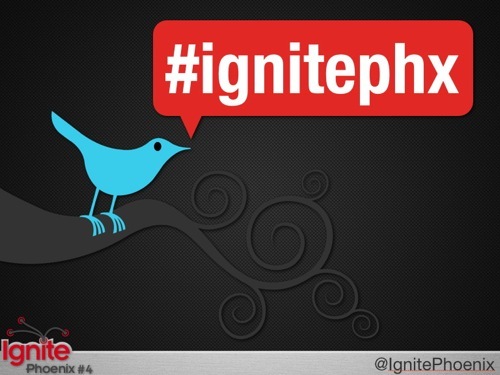 During my tour as the Ignite Phoenix Slideshow Guru, one of my main goals was to give presenters more slide real estate to play around with while keeping the Ignite brand intact. The standard Ignite slideshow template served its purpose, but adding full screen landscape or portrait images was problematic without cropping out large parts of the image (as shown below). Even worse, it left the slideshow creator wondering if they should ditch the theme altogether, or cram their content into the remaining free space. After trying to figure out how to best accommodate the Ignite and O’Reilly logos, I came up with the following slide design. 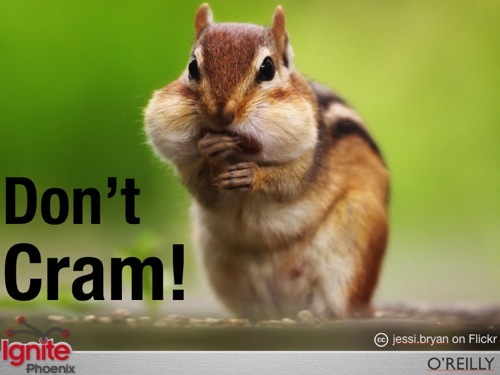 The design isn’t perfect, but it does allow users to utilize more slideshow real estate versus the original design. There are still problems when featuring a large image in a portrait layout and the logo is definitely smaller than before, but a large projection screen usually takes care of the latter problem. In addition, Keynote users can opt to allow objects on the slide to layer with the master slide, allowing the bottom Ignite bar to layer on top of an image and act as a watermark of sorts. The O’Reilly logo is also a text placeholder where presenters can add their Twitter handle if they so desire. Last but not least, the center section of the bar can be used as a place to add photo credit. Unfortunately, PowerPoint doesn’t allow objects on the master slide to layer with objects on a regular slide, but crafty PowerPoint users can easily copy and paste the Ignite bar into their regular slides if layering is something they need. The Ignite Slideshow Template files (found below) have been tested on the latest versions of Keynote and PowerPoint, but may require some tweaking on older versions of the aforementioned software. Also, the PowerPoint file was tested on Windows XP but may require some tweaking on Mac versions of PowerPoint due to the differences in the way PCs and Macs render fonts. You’re more than welcome to download the templates and take them for a test drive, and I highly encourage you to adapt them to your own particular situation — feel free to send some link love my way as well if you’re feeling generous. I’m hoping the slideshow templates serve as inspiration for your own themes, and feel free to share any other useful and inspirational slideshow themes in the comments below. Post Scriptum: Organizers of local Ignite events can swap out the Ignite logo with their own custom logo. 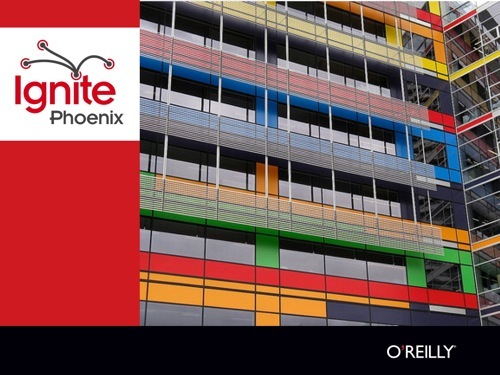 You can obtain the logo file from the O’Reilly Ignite-in-a-Box package that is sent to organizers who request it — the font used in the Ignite logo is called Insignia.